Jamie Hopkins has a passion for educating consumers on financial best practices. He came to the American College of Financial Services, a leader in financial services education, to help build an education program focused specifically on retirement income planning. He recognized the need for such a program after seeing his own family members and friends going through retirement and making costly mistakes. “In retirement planning, ignorance is not bliss, it is a risk exaggerator,” he says. “By learning about common risks, setting up a plan, and executing it, you can maximize your happiness, your financial success, and your quality of life in retirement.” His book covers a breadth of topics, such as generating secure retirement income, tapping into home equity, planning for long-term care, securing appropriate insurance, and determining retirement goals. Hopkins was named one of the top forty financial services professionals under forty by Investment News. His guidance is much needed right now: “The baby boomers are retiring in droves, nearly ten thousand a day, and will continue to do so for decades to come,” he writes. 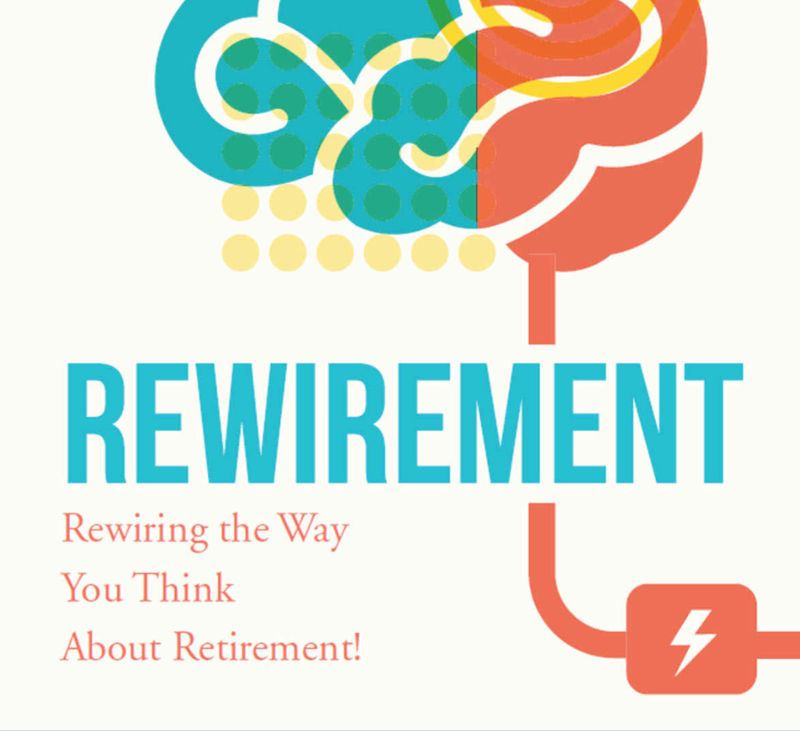 “This workforce exodus is just the tip of the retirement crisis iceberg.” He points to the “lack of understanding about the way finances change in retirement,” which creates the need to “rewire” our thinking. We’re interested. Jim and I are in our late 50s-early 60s. We are planning our own retirement, estimating our expenses and figuring out what we need to fund our lifestyle. Hopkins writes, “The best time to build your first comprehensive plan is five to ten years prior to retirement.” At that point, you have some idea when and where you may retire and some feeling for the changes ahead, which gives you time to execute any course-corrections that may need to happen. Jim discovered this as a young parent when his previous wife, Carol, died suddenly in her early 40s. They had children, Ashley and Nick, who were nine and five years old at the time. Although Jim and Carol had life insurance, they did not have enough to replace the income Carol would have earned over decades. Jim struggled at times to raise the two kids on just his income. Hopkins strongly advocates insuring both spouses, including non-working spouses. If something happens to them, the surviving spouse may need to hire help. Jim agrees. Even for people who marry later, as we did, life insurance can be important. We have policies for each other: if anything happens to either one of us, the survivor will have enough to reach our retirement goals. “In some ways, retirement is better defined by dividing it into three distinct phases: the early active ‘go-go’ years, the aging but healthy ‘go-slow’ years; and the end of life ‘no-go’ years,” Hopkins writes. The go-go years may be the most expensive, as people tend to travel and pursue passions with their new-found time and freedom. But it’s equally important to plan for the no-go years, with potentially increased healthcare costs and long-term care expenses. Without careful planning, the life you want to live can be derailed by health or custodial care costs. “Purchase long-term care insurance when you are still healthy and able to afford it,” Hopkins writes. “Many consider age fifty the right time to look into this product—which provides protection if you become unable to care for yourself.” Planning for the last stage of retirement is crucial and requires pre-planning because you may be incompetent or in declining health. Those years can be incredibly expensive. If you have LTC insurance, you don’t need to allocate as much from other assets for the no-go years. Jim and I are fortunate to have our long-term care policies in place. They give us access to hundreds of thousands of dollars to pay for custodial care if we need it. 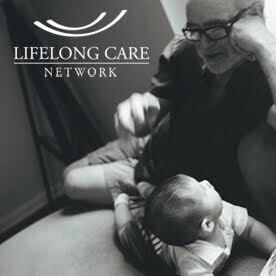 If we don’t use our long-term care insurance, we’ll be glad! It will mean we reached the end of our lives healthy enough to tie own shoe laces and bathe ourselves. But 60% of those of purchase long-term care policies do end up needing care. It is prudent to have it. Hopkins frames retirement planning as being about generating income streams to meet your needs over the long run. “Nearly 25 percent of people alive at age sixty-five will live to age ninety, and 10 percent will live past ninety-five. There is a serious risk that you may need your retirement income assets to last twenty-five or thirty years.” Annuities can provide guaranteed income for the rest of your life, no matter how long you live. Using annuities, you can create an income floor. Then you may be able to weather heightened risks in your portfolio. A plan that combines annuities and equity mutual funds is both simple and sound. Hopkins’ book ends with a 10-step program that is easy to understand. He walks the reader through the entire process— evaluating your current situation, identifying your sources of retirement income, protecting against inflation, developing a tax-efficient withdrawal strategy, and—finally!—retiring and putting the plan in motion. Among his advice for tax-efficient withdrawals: start with the taxable accounts (e.g. brokerage accounts), then withdraw from tax-deferred accounts, drawing from Roth accounts last. (Keep tax advantaged accounts as long as possible to maximize the duration of growth.) Also, look into relocating as some states do not tax IRA, Social Security, or pension income. You may be able to save substantially. This book is a wise investment for the lay person. It will help you to consider how to limit the impact of many risks by making more strategic decisions. “Everyone can improve their retirement income security without saving a single dollar more simply by making better and more informed decisions.” You will be introduced to many planning skills that you can use over time. It’s not once and done with retirement planning. Hopkins suggests reviewing the plans at least yearly to make sure you are on track with your goals. Toward the end of the book, he asks an important question: “Are you paying attention to maintaining your health, so that you can continue to work if you choose to?” While most people assume that they will be working into retirement, many either can’t find work or are not healthy enough to work. Protecting your health is the wisest investment you can make for your retirement. Include it as part of your personal planning.